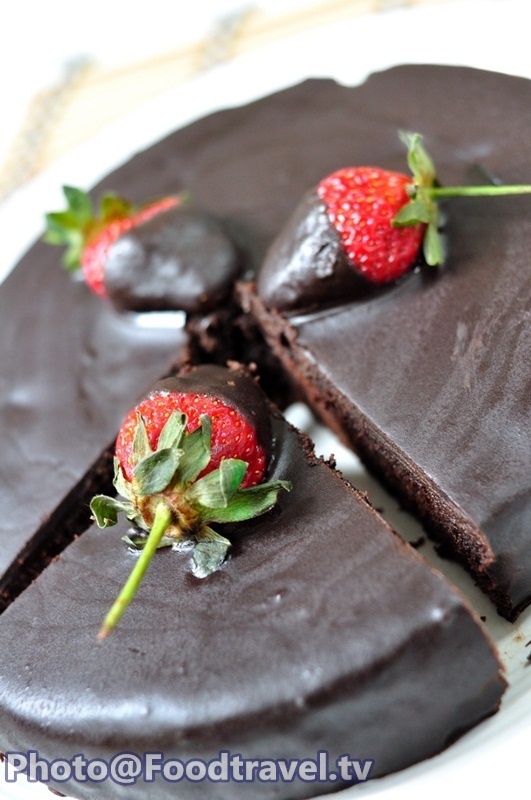 Chocolate Cake - Chocolate Cake , another cake that who loves chocolate never say “no”. Cake that give you more full flavored of chocolate cake. Just make them on weekend or you can serve them on any party or your special days. 1. Boil water in a pot. Then place a stainless bowl over the pot. Pour chocolate, butter and whipping cream in a stainless bowl and melt together for about 10 minutes. Set aside to cool. 2. Sift flour, salt, baking powder together and set aside. 3. Beat butter until rise with highest speed. Then add icing in a small increment, add egg one by one, follow with vanilla flavor. Reduce speed to low. Add coco powder, sifted flour, alternate with milk in a small increment. Add milk and flour until run out. 4. Apply white butter to the stencil paper all over the mold. Gently mix cake flour in the same direction. Pour cake down and spread smooth. Bake at 180 degrees for about 40 minutes. 5. When the cake is cooked properly. Pull out the stencil paper and invert cake onto wire rack and set aside to cool. 6. Cut the cake. Top with melted chocolate all over the cake. 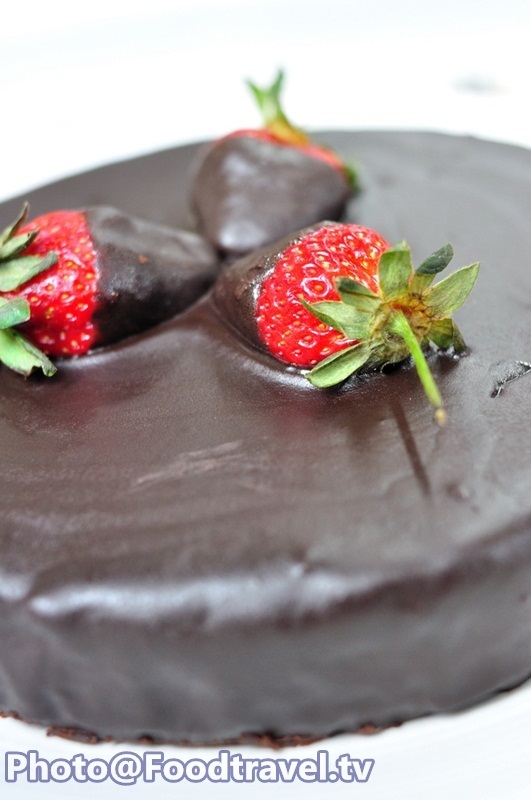 Decorated with strawberries coated with chocolate.